SUSTAINABILITY MADE POSSIBLE. 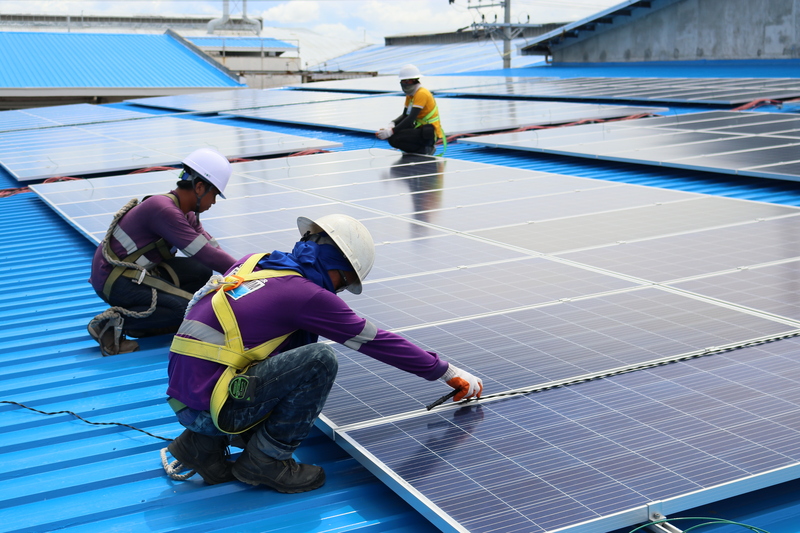 The rooftop solar power system installed by ET Vivant Solar at the Treasure Island Industrial Corp. compound in Barangay Tingub, Mandaue City is designed to generate 1,400 kWp of renewable energy for its iPak packaging division. VIVANT Energy Corp. subsidiary ET Vivant Solar is helping Cebu-based manufacturing company Treasure Island Industrial Corp. (TIIC) meet its sustainability goals by converting part of its energy requirements to solar. ET Vivant has installed solar panels on the roof of buildings at the TIIC compound in Barangay Tingub, Mandaue City. The solar rooftop installation is designed to generate 1,400 kWp of renewable energy exclusively for TIIC’s packaging division, iPak. TIIC’s packaging division iPak manufactures plastic and metal packaging materials, containers, pouches, caps, seals and labels, as well as plastic household containers for domestic and international customers. ET Vivant, a partnership between leading global renewable energy developer ET Energy and Vivant Energy Corp., will ensure maintenance of the solar rooftop installation until it turns over ownership of the modules to TIIC at the end of the 15-year contract. “We thank TIIC for trusting us to become their partner,” said Dennis She, CEO of ET Energy. He said ET Vivant will take TIIC through every step of the process to ensure the success of the partnership. The ET Vivant joint venture was formalized in December 2016 as part of Vivant Energy’s efforts to expand its renewable energy investments through subsidiary Vivant Renewable Energy Corp.